The Petroleum Quality Institute of America (PQIA) is an independent resource for information and insights on the quality of lubricants in the marketplace. Our mission is to serve the consumer of lubricants by randomly sampling and independently testing lubricants taken from the field. Test results are posted along with the brand names on the PQIA website. This webpage provides an analysis on the brand detailed below. The following are the test results for the sample examined. 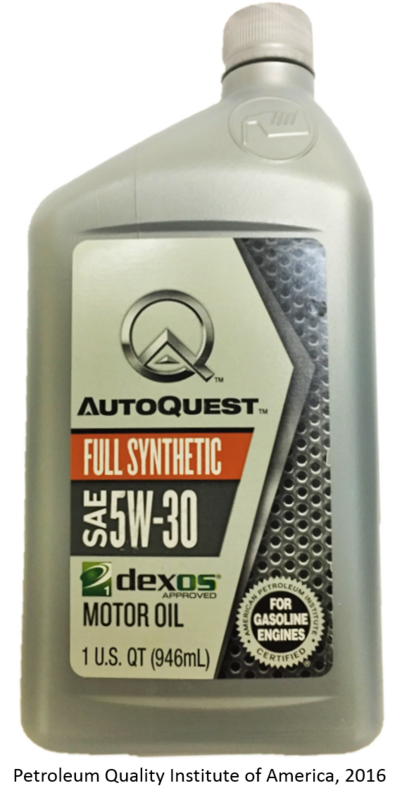 The results of the tests conducted on this sample meet the SAE J300 specifications for the SAE Viscosity Grade listed on the product label, and are consistent with the listed API Service Categories. 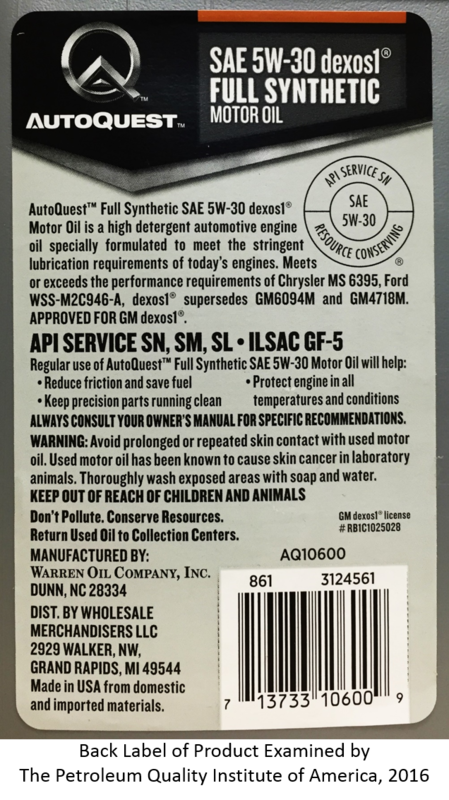 Note: Although laboratory tests alone cannot be used to establish if engine oil meets an API Service Category, they can be used to determine if it doesn't. Standards, shown in yellow are established by API, SAE and others. Test Method for metal analysis is ASTM D5185. This specification is expressed to two significant figures, therefore results up to 15.5 are considered on specification.